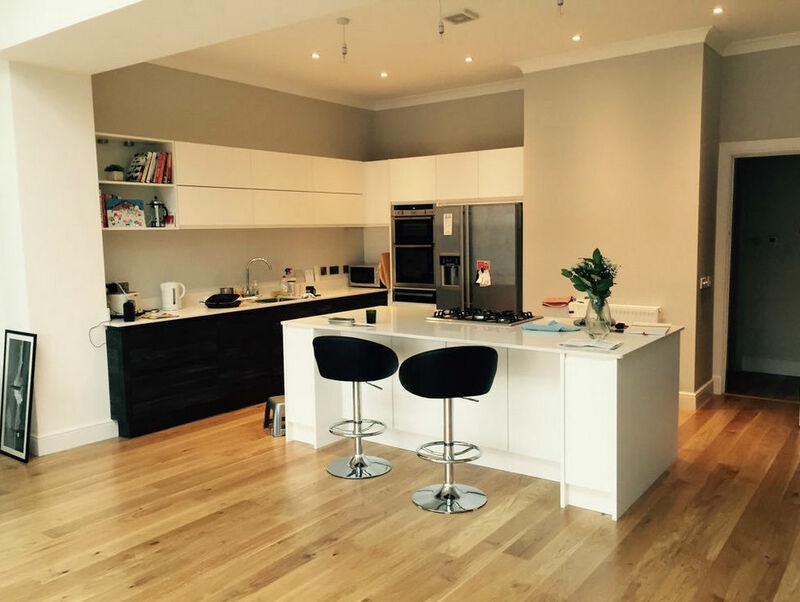 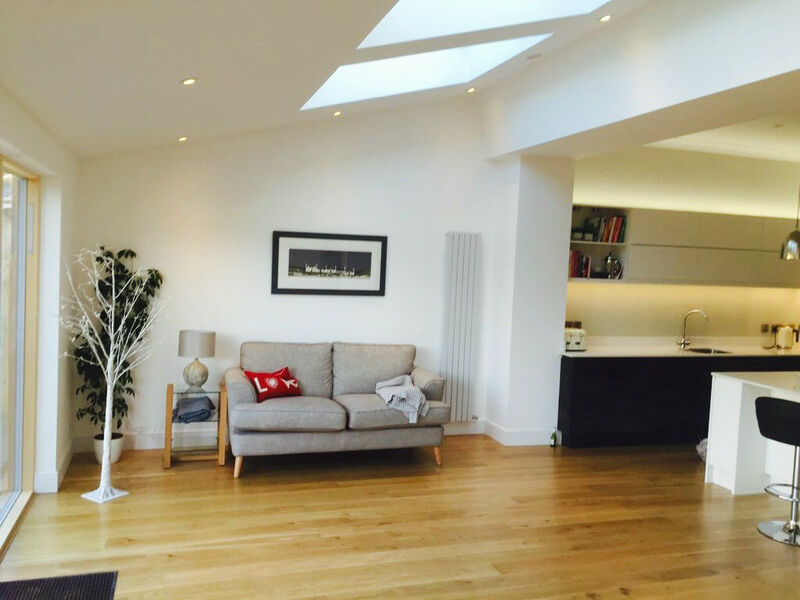 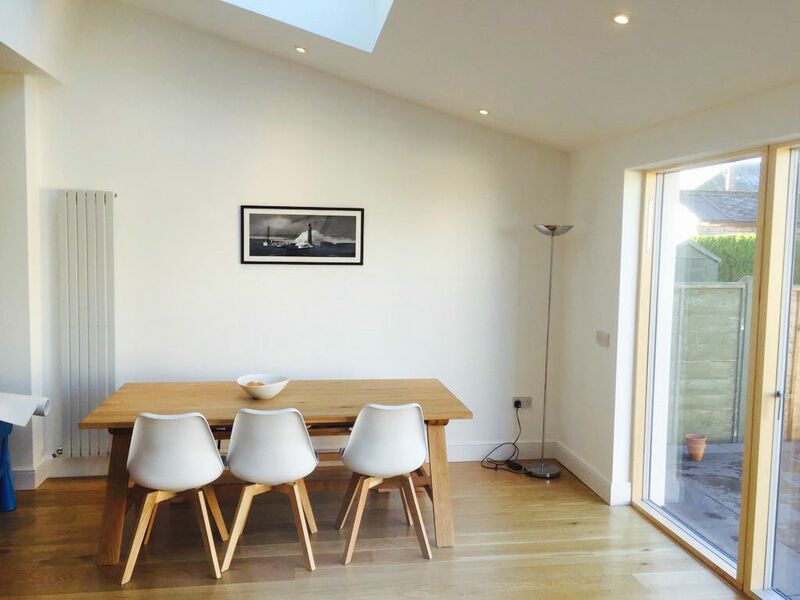 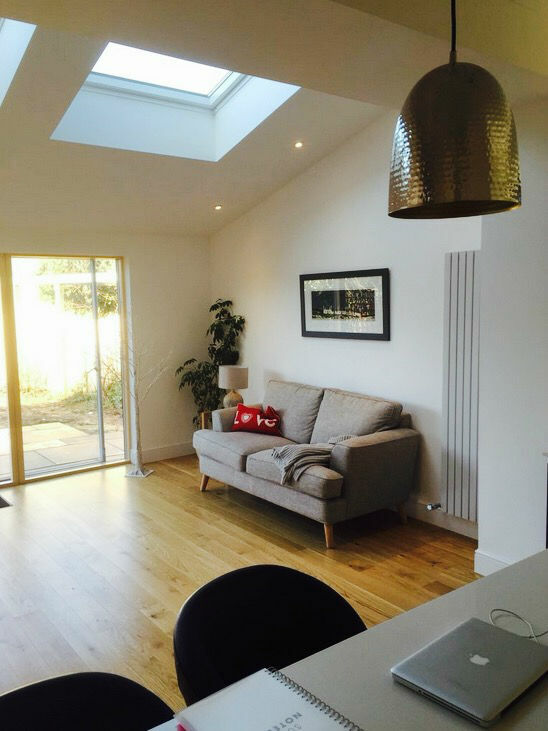 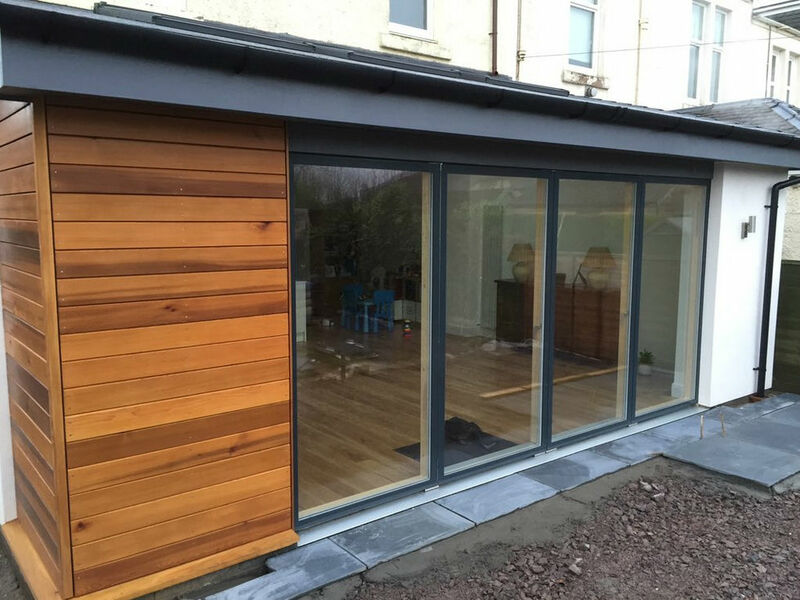 This simple yet elegant single storey extension allowed us to open up the rear of the house to create an open-plan kitchen, dining and living space. 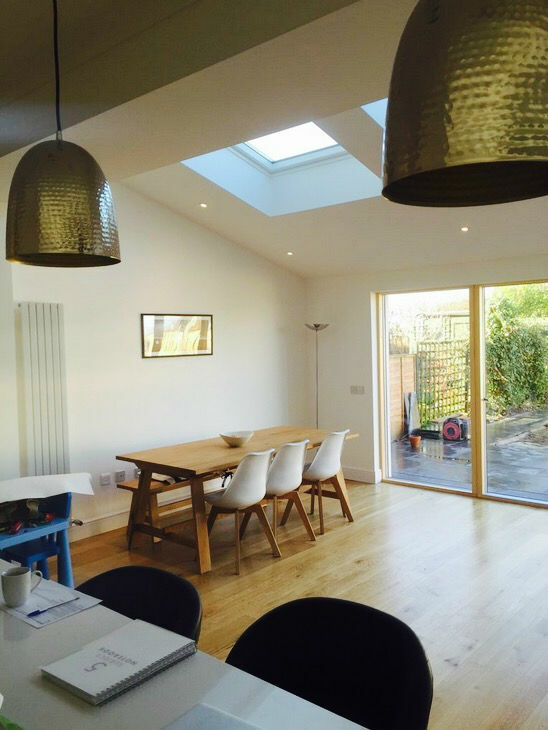 Generous rooflights and large bi-folding doors provide ample natural daylight while strengthening connections between internal and external spaces. 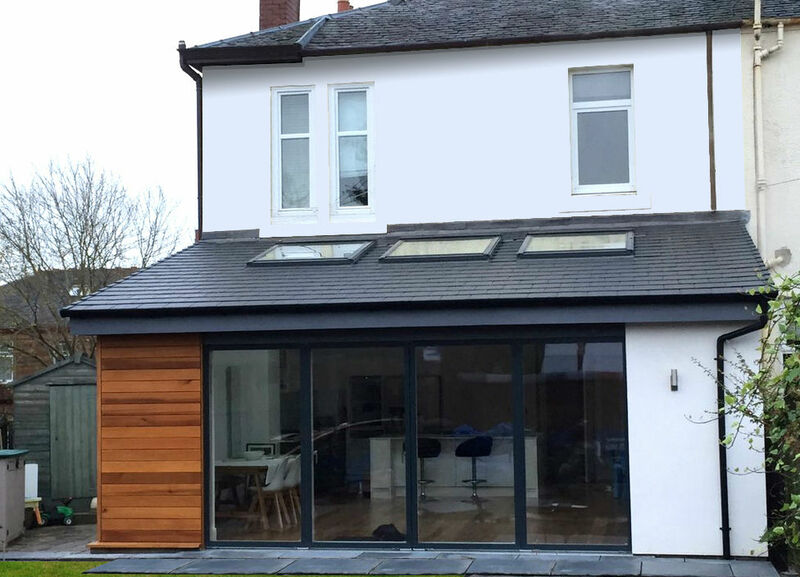 Grey window frames and smooth white render achieve a contemporary appearance, while the cedar-clad corner adds a touch of warmth and interest to the palette of materials.